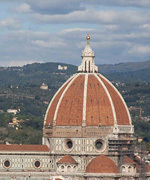 Considered the birthplace of Renaissance, Florence is the capital of Tuscany. Its historic center is one of the most visited in the world and declared a World Heritage Site by UNESCO in 1982. 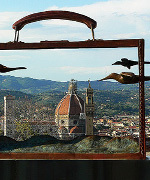 Florence is also in the top fifty fashion capitals of the world. 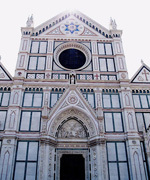 The old districts still define the geography of Florence: you can know more information in the following sections about Santa Croce, Santa Maria Novella, Oltrarno (San Frediano + Santo Spirito) and Duomo â€“ Cathedral areas and their incredible artistic heritage. Habitat Apartments provide high quality apartments in central Florence, close to Ponte Vecchio, Uffizi Gallery and the Brunelleschi Dome. 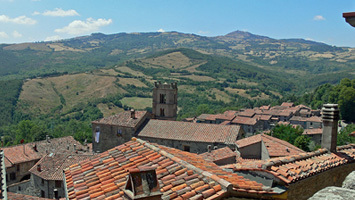 Pontassieve is a municipality in the Province of Florence in Tuscany, located about 14 kilometers east of Florence. It is located in the Arno valley at the point where the Sieve river flows into the Arno. San Lorenzo in Florence basically means one thing: the market! In fact, the two markets. A space with open stands that loops between the Via Nazionales and the Piazza di San Lorenzo. 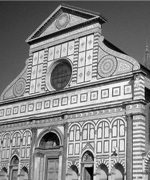 There you can find clothes, jewelry, leather products (the pride of Florence). Open all day, every day, even though in the last few years it has changed looks (many stands disappeared), it always have been worth a walk. Among the stands, you will find the historic Central Market, with a wide range of fresh products. In the surroundings you may also find many shops, wineries, the “lampredotto” carts, and some low-priced taverns which offer typical Florentine food. Always depending on how to get to the city, you can catch a train and have a romantic and exciting instant when you get to see Firenze S.M.N. From this moment you’re officially in Florence! The station is located in the city centre, just 10 minutes from the Duomo, and 5 minutes from the Fortezza da Basso, where the most important fairs in Florence take place. The area is cosmopolitan and versatile in terms of experiences. It’s cheerful, pretty and a bit confusing for moving around. Beauty is subjective, but sometimes there is objective beauty. Oltrarno is objectively beautiful and magical, an area in Florence which mixes art with incredible landscaping and impressive views. Some of its plazas, Santo Spirito for instance, seem that they are suspended-in-time, far from the touristic noise of the historic city centre. The same goes for bars and restaurants, always special and welcoming, whether they’re trendy or not. It is undoubtedly locals´ preferable area to go out at night. 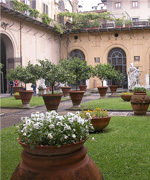 Oltrarno is the ideal district for accommodation in Florence.